1. Gold is where you find it – in the form of food, food and more food! 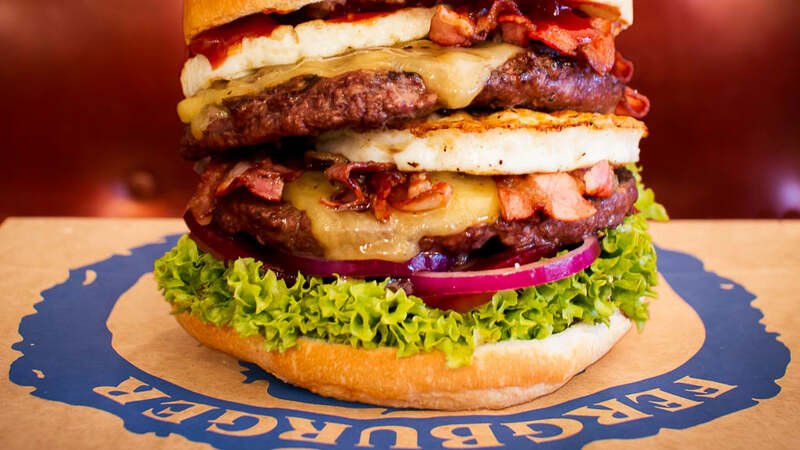 Similar to the Eiffel Tower, or Statue of Liberty, Fergburger is a must do tourist-attraction in Queenstown, in the form of a high-end burger joint. Fergburger uses high-end, inventive ingredients, such as the local favourite, ‘holier than thou’ – featuring tempered tofu with a spicy satay, coconut and coriander sauce. Recommend trying Fergburger for lunch and then trying the Speights Ale House for a happy-pub-atmosphere, a pint of speights and the lamb shanks. 2. Bask in a pot of gold, or in a spring-water-hot-tub, rather. Onsen hot pools – fresh spring water is hit with high intensity ultraviolet rays that eliminates the need for traditional chlorine. The water is regularly changed so the pools are all tickety boo clean of harsh chemicals, and dirt! 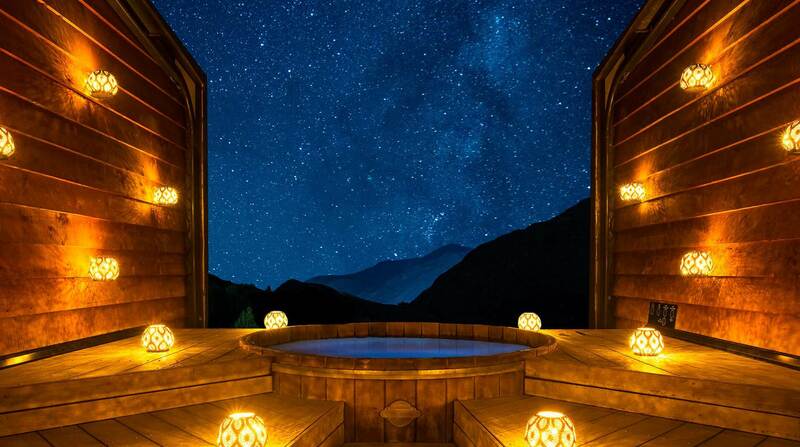 Close your eyes and imagine: basking in warm spring water with a view of snowy mountains – private, peaceful and relaxing. We recommend going at sunset, where you can appreciate the alpine scenery and magnificent shot over river canyon, before indulging under starry-eyed skies. The Olsen Pools is a super romantic activity to do with a partner, or just super relaxing if you’re solo or with a friend. There is a free shuttle to and from the pools. There is nothing better than a massage after a strenuous day on the slopes. Massage helps decrease muscle soreness and tension, improve muscle flexibility, improve circulation, promote connective tissue healing, improve joint range of motion and reduce recovery time from an injury. Massage therapy can help increase your range of motion, assist with balance and tackle those aches and pains! You can’t get more authentic and off the beaten track than getting amongst the local festivities. This Winter is particularly exciting – with Queens birthday weekend (1st-3rd June) showcasing ‘Southern Light Project’ – a curated collection of stunning light sculptures and installations that focus on transformation of space, public interaction, art, culture and education. The Winter Pride Parade, Sept 1st-8th – boasts the largest gay and lesbian winter pride in the Southern Hemisphere – with a week long event celebrating Queenstown in all its fabulousness! There is skiing, nightlife, entertainment, and more – it doesn’t matter if you’re gay, lesbian, like or dislike the snow, there is something for everyone! June 21st celebrates Matariki with an iconic torchlight procession throughout the streets in which you will be greeted by a breathtaking Waka Ama and Powhiri. Curious about what else is on? Have a look. Okay, maybe I exaggerated, but historically, Arrowtown was the centre of a huge gold-mining rush. 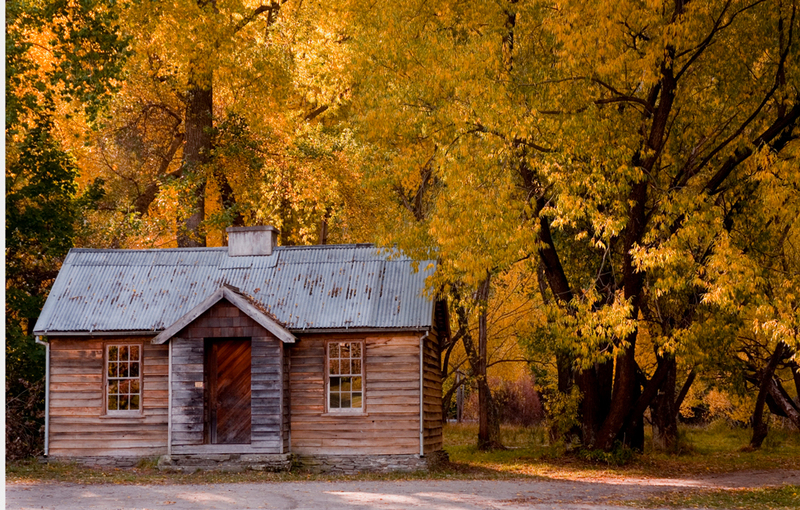 Back in the mid-1800’s, gold was in excess around the Arrow River so Europeans and Chinese alike settled in the area to rake in the precious stone. 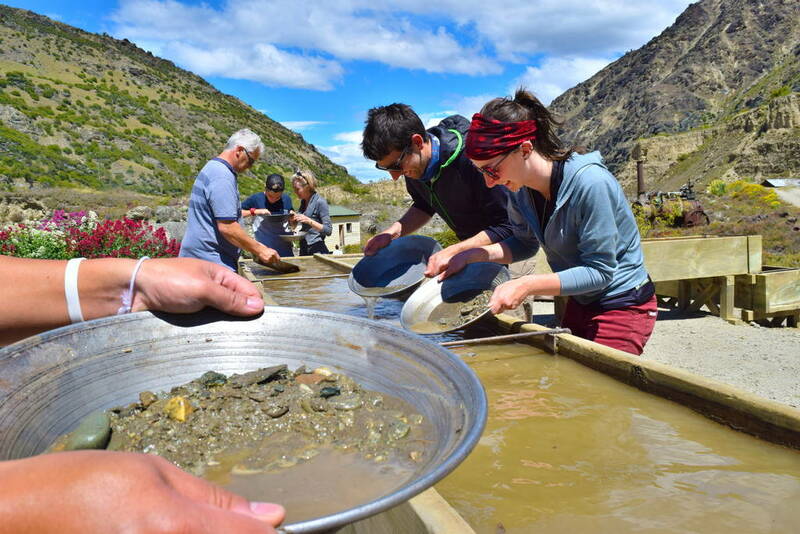 Nowadays you’d be hard-pressed to chance upon any considerably sized rock of gold, but gold panning is still a hugely popular tourist activity for visitors (just set your expectations pretty damn low). If you don’t want to get your feet wet, explore the historic Chinese cottages which still stand in remarkably impressive condition today. 6. The fool and his money are soon parted… or not parted, because this activity is free! This will require a means of transportation, as Lake Hayes is a wee drive out of the city centre. But you’ll be grateful you put in the extra effort. The Lake Hayes estate is a region largely left alone by tourists so if you’re looking for some P&Q, you’re headed to the right place. You’re in New Zealand after all – it would be debatable to say you came for the madness of a metropolis. Excited for the snow season 2018? Want to visit Queenstown? Take a look at our 7 day South Island Snow Safari here.